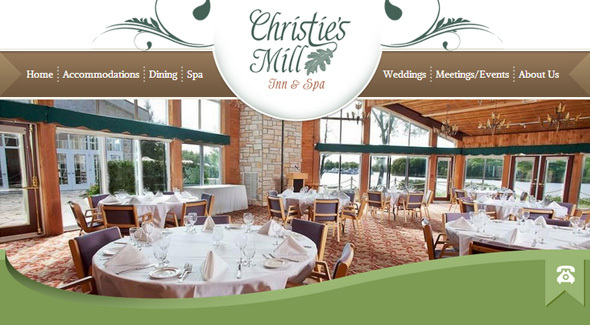 A fine, European style venue for a Muskoka wedding, business meeting or leisure getaway, Christie’s Mill Inn & Spa offers premium amenities and lush green lawns and waterfront setting. The company needed a new web site that reflects this quality. The site was designed in soft earthy colour tones with a stylish flair, complete with the eCrew content manager for simple self-editing of all the content.